Back in 2009 I had wings tattooed on my ankles and so far I believe they've helped me fly around the track numerous times. But now I am happy to say they've finally helped me find my nest. I'm excited to finally announce that I am now a Oiselle athlete. I've been holding this one in for a while, as I awaited the big reveal. If you don't know anything about Oiselle (pronounced wa-zell) then let me fill you in. Oiselle was started by Sally Bergesen because of disappointment of not finding women's running apparel that fit correctly. The first year Oiselle came on the scene was in 2007 and it's taken flight from there. Oiselle is the French word for bird. I love how Sally describes the meaning behind it, "It alludes to that feeling of weightlessness that most runners know and love. That sense of flight - when the legs go fast and the heart goes free." 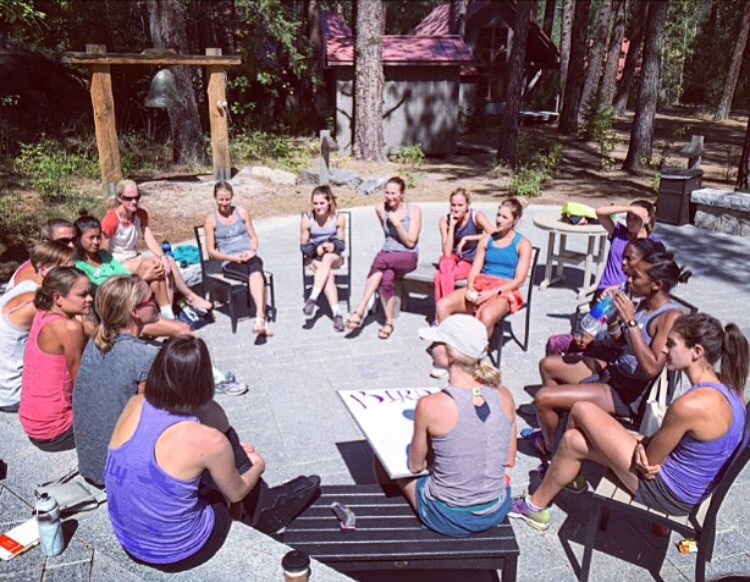 The ladies of Oiselle represent a community of highly motivated women. Women who strive for the betterment of more than just them, but for the whole. I'm excited to be apart of such a community of women, and to get the opportunity to experience the flight with all of them. I landed in the beautiful state of Washington Friday morning as I am partaking in annual "Bird Camp". I've meet so many wonderful women and it's been a wonderful couple of days so far. 2015-2016 is a year that I plan to fly a little more, take bigger chances, and know that I have the best sponsor supporting every flight pattern I take. Here's to blue skies, heads held high and wings spread wide!